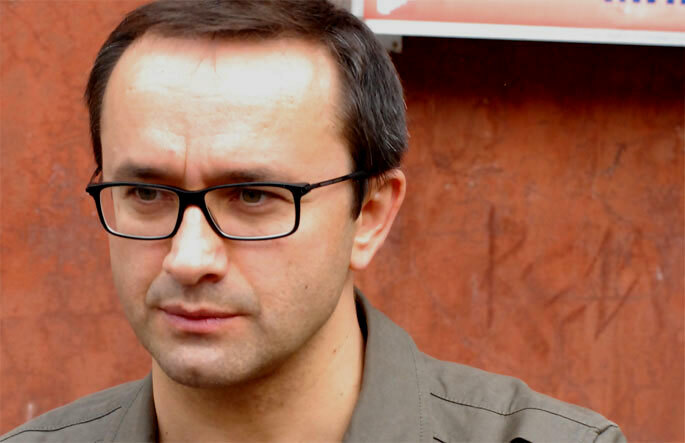 Andrey Petrovich Zvyagintsev (born 6 February 1964) is a Russian film director and actor. He is mostly known for his 2003 film The Return, which won him a Golden Lion at the Venice Film Festival. As Cannes concludes, Sony Pictures Classics keeps buying specialty product. The latest is a small deal for North American rights to the Andrey Zvyagintsev-directed Russian pic Leviathan, which played to strong reaction. SPC came in with five films, and bought two more in Cannes. The company’s first planned release from the partnership is “Elena,” from “Leviathan” director Andrey Zvyagintsev, which took home the coveted Un Certain Regard Special Jury Prize at Cannes in 2011. 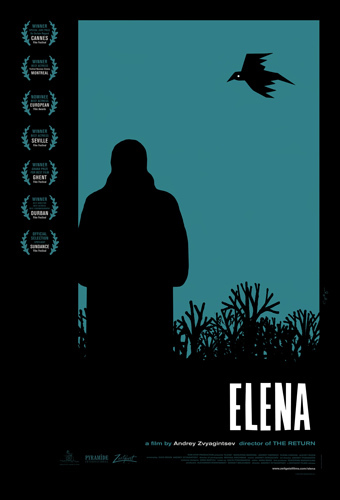 “Elena” is a modern noir set in the atmospheric corridors of a Moscow apartment complex. 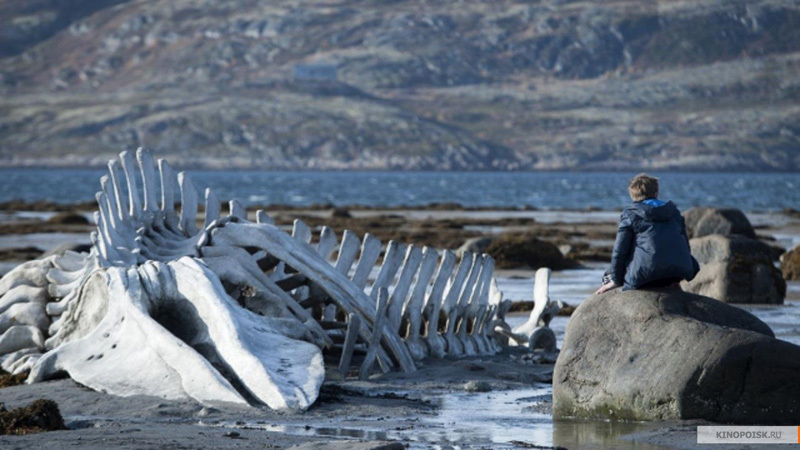 Seeing how the film can now boast some cred via Zvyagintsev’s involvement – his “Leviathan” was one of 2014’s most well-reviewed films - as well as a purportedly “Hitchcockian” music soundtrack by the great Philip Glass, it’s a fitting first title for the joint company excursion. “Elena” will get a Blu Ray release on August 4th of this year. In the meantime, Zeitgeist and Syncopy are working on a compilation of animated short films from the Quay brothers that will see a release sometime towards the end of the year. Russian director Andrey Zvyagintsev makes his feature debut with this haunting, poignant family drama. Teenage brothers Andrei (Vladimir Garin) and Ivan (Ivan Dobronravov) have lived with their mother (Natalya Vdovina) and grandmother (Galina Petrova) for as long as they can remember when their long-lost father (Konstantin Lavronenko) suddenly turns up after a twelve-year absence. While Andrei seems happy to see him, the younger Ivan is reluctant and suspicious of his father's motives. 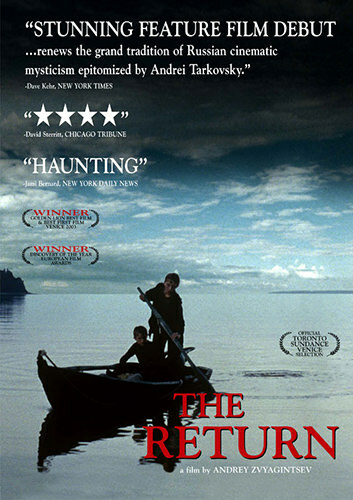 The three take a boat to a deserted island in a remote lake in the north of Russia - a trip which turns into an endurance test as the boys struggle to come to terms with their father's presence and cruel, mysterious ways. The film won the Golden Lion award at the 2003 Venice Film Festival. Set in an unnamed location and time, Andrei Zvyagintsev's truly compelling, mesmerisingly photographed drama follows Alex (Konstantin Lavronenko), Vera (Maria Bonnevie), their young son and daughter, and Alex's brother Mark (Alexander Baluyev), as they relocate from the city to Alex and Mark's father's old house in the country. Once there, Vera tells Alex that she is pregnant by another man, causing Alex to face huge personal dilemmas, wondering whether to forgive her or exact revenge. Acting on advice from his malevolent brother, Alex demands that Vera terminate the pregnancy. But when complications suddenly arise, Alex's weakening grasp on reality threatens to place events beyond his control. Paramount Television announced today that it has a dramatic thriller series in the works from Academy Award-nominated director Andrey Zvyagintsev whose Loveless is one of the five foreign language film nominees this year. This is the first television project for Zvyagintsev, whose films have a long-running track record at the Cannes Film Festival: His 2011 feature Elena won Un Certain Regard, 2014’s Leviathan won best screenplay, and Loveless took the Jury Prize last May. Leviathan was also an Oscar nominee for best foreign language film three years ago. Zvyagintsev’s untitled series is being produced in the Russian language and will be set in contemporary Moscow. The series is based on an original idea by Zvyagintsev and Oleg Negin. Zvyagintsev will serve as EP and direct the first two episodes. Alexander Rodnyansky will also serve as EP. The trio are the same team behind Levithan and Elena.